catering facilities. located in the historic village of patchogue. marriage celebrant offering beach weddings, underwater weddings, weddings in the rain forest, in hotair balloons and other locations. website is in german language as well. quotes taken from poetry, literature and the bible. topics include men and women, relationships, courtship, love, marriage and weddings. european weddings arranged - italy, greece, and austria. small or large weddings customized - romantic locations. coordinates greek island weddings and weddings abroad. Questions and answers regarding abuse and violence against women in relationships. articles on relationships, marriage, divorce and stress. free newsletter on relationships. Articles and discussion about relationships and sexual identity. advise and insight into single, committed, romantic and alternative relationships. also includes advice on ending relationships. jewish weddings, and jewish-christian weddings interfaith with co-officiant clergy. published writer working on book about how the net has changed the way people meet their partners and experience their relationships. seeks those willing to anonymously share their stories. this site talks about my previous interracial relationships, and the problems i faced in them. This chart from The Gene Pool will help you work out complex relationships. a place where you can read stories or vent about relationships that went bitter. guide to philippine weddings and directory of wedding suppliers. rev. judy winkler designs and conducts non-denominational weddings in san diego. directory, resources, and vendors for weddings in coastal communities. wedding coordination company specialising in destination weddings around the world. serving all of connecticut and specializing in smaller-budget weddings. specializing in the organization of civil and religious weddings in italy. sara wallace performs weddings in san diego county. officiating and planning island weddings on sanibel and captiva since 1980.
small garden weddings accommodating up to twelve people in easley. nondenominational weddings, includes prices, photographs, and officiants biography. offers service to all of southern california specializing in lake arrowhead weddings. wedding packages, renewal of vows ceremonies, and caribbean cruise weddings. Humanist weddings with emphasis on values and creating a meaningful ceremony above the need for ritual or tradition. officiant available for weddings from toronto east to kingston. rev roger reckling performs weddings throughout michigan. specializes in traditional or personalized weddings and elopements. If the business hours of west lake inn in may vary on holidays like Valentine’s Day, Washington’s Birthday, St. Patrick’s Day, Easter, Easter eve and Mother’s day. We display standard opening hours and price ranges in our profile site. We recommend to check out wlinn.com/ for further information. 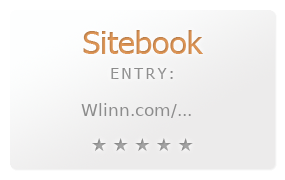 You can also search for Alternatives for wlinn.com/ on our Review Site Sitebook.org All trademarks are the property of their respective owners. If we should delete this entry, please send us a short E-Mail.